“Because you have kept the word of My patience, I also will keep you from the hour of temptation, which shall come on all the world, to try them that dwell on the earth. Behold, I come quickly: hold that fast which you have, that no man take your crown. Him that overcomes will I make a pillar in the temple of My God, and he shall go no more out: and I will write on him the name of My God, and the name of the city of My God, which is new Jerusalem, which comes down out of heaven from My God: and I will write on him My new name” (Rev 3:10–12). Today God judges you, and chastises you, and condemns you, but know that your condemnation is so that you might know yourself. Condemnation, curse, judgment, chastisement—these are all so that you might know yourself, so that your disposition might change, and, moreover, so that you might know your worth, and see that all of God’s actions are righteous, and in accordance with His disposition and the needs of His work, that He works in accordance with His plan for man’s salvation, and that He is the righteous God who loves man, and saves man, and who judges and chastises man. If you only know that you are of lowly status, and that you are corrupt and disobedient, but do not know that God wishes to make plain His salvation through the judgment and chastisement that He does in you today, then you have no way of experiencing, much less are you able to continue onward. God has not come to kill, or destroy, but to judge, curse, chastise, and save. Prior to the conclusion of His 6,000-year management plan—before He makes plain the end of each category of man—God’s work on earth is for the sake of salvation, it is all in order to make those who love Him totally complete, and bring them into submission to His dominion. No matter how God saves people, it is all done by making them break away from their old satanic nature; that is, He saves them by making them seek life. If they do not seek life then they will have no way to accept God’s salvation. Salvation is the work of God Himself and the seeking for life is something that man must possess in order to accept salvation. In the eyes of man, salvation is the love of God, and the love of God cannot be chastisement, judgment, and curse; salvation must contain love, compassion, and, moreover, the words of solace, and must contain the boundless blessings bestowed by God. People believe that when God saves man He does so by touching them and making them give their hearts to Him through His blessings and grace. That is to say, when He touches man He saves them. Salvation such as this is salvation in which a trade is being made. Only when God bestows them with a hundredfold will man come under the name of God, and strive to do well for God and bring Him glory. This is not God’s will for mankind. God has come to work on earth in order to save corrupt mankind—there is no falsehood in this; if not, He certainly would not come to do His work in person. In the past, His means of salvation was showing the utmost love and compassion, such that He gave His all to Satan in exchange for the whole of mankind. Today is nothing like the past: Today, your salvation occurs at the time of the last days, during the classification of each according to kind; the means of your salvation is not love or compassion, but chastisement and judgment in order that man may be more thoroughly saved. Thus, all that you receive is chastisement, judgment, and merciless smiting, but know that in this heartless smiting there is not the slightest punishment, know that regardless of how harsh My words are, what befalls you is but a few words that appear utterly heartless to you, and know that, regardless of how great My anger, what comes upon you are still words of teaching, and I do not mean to harm you, or to put you to death. Is this not all fact? Know that today, whether it be righteous judgment or heartless refinement and chastisement, all are for the sake of salvation. 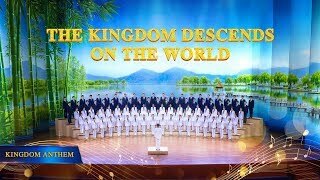 Regardless of whether today there is the classification of each according to kind, or the laying bare of the categories of man, all of God’s utterances and work are in order to save those who truly love God. Righteous judgment is in order to purify man, heartless refinement is in order to cleanse man, harsh words or chastening are all in order to purify, and for the sake of salvation. And thus, today’s method of salvation is unlike in the past. Today, righteous judgment saves you, and is a good tool for classifying you each according to kind, and ruthless chastisement brings you supreme salvation—and what have you to say in the face of this chastisement and judgment? Have you not enjoyed salvation from start to finish? You have both seen God incarnate and realized His omnipotence and wisdom; moreover, you have experienced repeated smiting and discipline. But have you not also received supreme grace? Are your blessings not greater than those of anyone else? Your graces are more bounteous than the glory and riches enjoyed by Solomon! Think about it: If My intention in coming were to condemn and punish you, and not to save you, could your days have lasted so long? Could you, these sinful beings of flesh and blood, have survived until today? If it were only for the sake of punishing you, why would I have become flesh and embarked upon such a great enterprise? Wouldn’t it just take the time of uttering a single word to punish you mere mortals? Would I still be of a mind to destroy you after condemning you? Do you still not believe these words of Mine? Could I save man merely through love and compassion? Or could I only use the crucifixion to save man? Is My righteous disposition not more conducive to making man completely obedient? Is it not more able to thoroughly save man? Though My words may be stern, they are all said for man’s salvation, as I am only speaking words and not punishing man’s flesh. These words cause man to live in the light, to know that the light exists, to know that the light is precious, even more so to know how beneficial these words are to man, and to know that God is salvation. Though I have said many words of chastisement and judgment, they have not been done unto you in deed. I have come to do My work, to speak My words and, though My words may be stern, they are spoken in judgment of your corruption and your rebelliousness. The purpose of My doing this remains to save man from Satan’s domain, to use My words to save man; My purpose is not to harm man with My words. My words are stern so that results may be achieved from My work. Only through working in this way can man know themselves and break away from their rebellious disposition. The greatest significance of the work of words is allowing people to put the truth into practice after having understood the truth, achieve changes in their disposition, and achieve the knowledge of themselves and the work of God. Only the means of working through speaking can enable communication between God and man, only words can explain the truth. Working in this way is the best means of conquering man; apart from the utterance of words, no other method is capable of giving man a clearer understanding of the truth and the work of God, and so in His final stage of work, God speaks to man in order to open up to man all the truths and mysteries that they do not understand, allowing them to gain the true way and the life from God, and thus satisfy the will of God. From the creation of the world until now, all that God has done in His work is love, without any hatred for man. Even the chastisement and judgment you have seen are also love, a truer and more real love; this love leads people onto the right way of human life. … All of you live in a place of sin and licentiousness; you are all licentious and sinful people. Today you not only can see God, but more importantly, you have received chastisement and judgment, received such deepest salvation, that is, received God’s greatest love. All that He does is true love for you; He has no ill intention. It is because of your sins that He judges you, so that you will examine yourselves and receive this tremendous salvation. All this is done to work man. From beginning to end, God has been doing His utmost to save man, and He is certainly not willing to completely destroy the men He created with His own hands. Now He has come among you to work; isn’t this even more salvation? If He hated you, would He still do work of such magnitude to personally lead you? Why should He suffer so? God does not hate you or have any ill intention toward you. You should know that God’s love is the truest love. It is only because of people’s disobedience that He has to save them through judgment; otherwise, they would not be saved. As you do not know how to lead a life or how to live, and you live in this licentious and sinful place and are licentious and filthy devils, He does not have the heart to let you become even more depraved; neither has He the heart to see you living in the filthy place like this, being trampled by Satan at will, or the heart to let you fall into Hades. He only wants to gain this group of you and thoroughly save you. This is the main purpose of doing the conquering work on you—it is just for salvation. … Though now you are suffering some pain and refinement because of the judgment, this pain is valuable and meaningful. Although chastisement and judgment are refinements and merciless disclosures to man, meant to punish his sins and punish his flesh, none of this work is intended to condemn and extinguish his flesh. The severe disclosures of the word are all for the purpose of leading you to the right path. You have personally experienced so much of this work and, clearly, it has not led you to an evil path! All of it is to enable you to live out a normal humanity; all of it is something your normal humanity can achieve. Every step of the work is done based on your needs, according to your weaknesses, and according to your actual stature, and no unbearable burden is placed on you. Although you are unable to see this clearly now and you feel as if I am being hard on you, although you keep thinking that the reason I chastise and judge you every day and reproach you every day is because I hate you, and although what you receive is chastisement and judgment, in reality it is all love for you, also a great protection for you. Faced with man’s state and his attitude toward God, God has done new work, allowing man to possess both knowledge of and obedience toward Him, and both love and testimony. Thus, man must experience God’s refinement of him, as well as His judgment, dealing and pruning of him, without which man would never know God, and would never be capable of truly loving and bearing witness to Him. God’s refinement of man is not merely for the sake of a one-sided effect, but for the sake of a multi-faceted effect. Only in this way does God do the work of refinement in those who are willing to seek the truth, in order that man’s resolve and love are made perfect by God. To those who are willing to seek the truth, and who yearn for God, nothing is more meaningful, or of greater assistance, than refinement such as this. God’s disposition is not so easily known or understood by man, for God, in the end, is God. At the end of the day, it is impossible for God to have the same disposition as man, and thus it is not easy for man to know His disposition. The truth is not inherently possessed by man, and is not easily understood by those who have been corrupted by Satan; man is devoid of the truth, and devoid of the resolve to put the truth into practice, and if he does not suffer, and is not refined or judged, then his resolve will never be made perfect. For all people, refinement is excruciating, and very difficult to accept—yet it is during refinement that God makes plain His righteous disposition to man, and makes public His requirements for man, and provides more enlightenment, and more actual pruning and dealing; through the comparison between the facts and the truth, He gives man a greater knowledge of himself and the truth, and gives man a greater understanding of God’s will, thus allowing man to have a truer and purer love of God. Such are God’s aims in carrying out refinement. All the work that God does in man has its own aims and significance; God does not do meaningless work, nor does He do work that is without benefit to man. Refinement does not mean removing people from before God, nor does it mean destroying them in hell. It means changing man’s disposition during refinement, changing his motivations, his old views, changing his love for God, and changing his whole life. Refinement is a real test of man, and a form of real training, and only during refinement can his love serve its inherent function. When God works to refine man, man suffers. The greater his refinement, the greater his love of God, and the more of God’s might is revealed in him. The less man’s refinement, the less his love of God, and the less God’s might is revealed in him. The greater his refinement and pain and the more his torment, the deeper his true love of God will be, the more genuine his faith in God will be, and the deeper his knowledge of God will be. In your experiences you will see that those who suffer great refinement and pain, and much dealing and discipline have a deep love of God, and a more profound and penetrating knowledge of God. 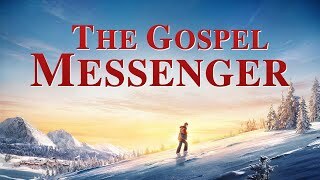 Those who have not experienced being dealt with have but a superficial knowledge, and can only say: “God is so good, He bestows grace upon people so that they can enjoy Him.” If people have experienced being dealt with and disciplined, then they are able to speak the true knowledge of God. So the more wondrous God’s work in man is, the more valuable and significant it is. The more impenetrable it is to you and the more incompatible it is with your notions, the more God’s work is able to conquer you, gain you, and make you perfect. The significance of God’s work is so great! If He did not refine man in this way, if He did not work according to this method, then God’s work would be ineffectual and without significance. This is the reason behind the extraordinary significance of His selection of a group of people during the last days. It was said before that God would select and gain this group. The greater the work He carries out within you, the deeper and purer your love for God. The greater the work of God, the more man is able to get a taste of His wisdom and the deeper is man’s knowledge of Him. During the last days, 6,000 years of God’s plan for management will come to an end. Can it possibly end just like that, so easily? Once He conquers mankind, will His work be over? Can it be so simple? People imagine that it’s so simple, but what God does is not that simple. No matter what part of God’s work it is, all is unfathomable to man. Were you able to fathom it, then God’s work would be without significance or value. The work done by God is unfathomable; it is too much at odds with your notions, and the more irreconcilable it is with your notions, the more it shows that God’s work is meaningful; were it compatible with your notions, then it would be meaningless. Today, you feel that God’s work is too wondrous, and the more wondrous it is, the more you feel that God is unfathomable, and you see how great God’s deeds are. If He only did some superficial, perfunctory work to conquer man and then that was it, then man would be incapable of beholding the significance of God’s work. Although you are receiving a little refinement now, it is of great benefit to the growth of your life—and so such hardship is of the utmost necessity to you. Today, you are receiving a little refinement, but afterward you will truly be able to behold the deeds of God, and ultimately you will say: “God’s deeds are so wondrous!” These will be the words in your heart. 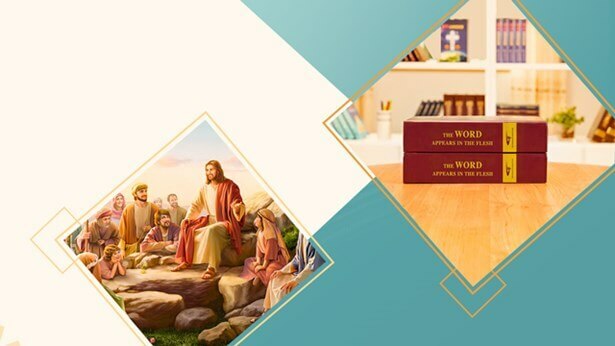 Having experienced God’s refinement for a while (the trial of service-doers and the times of chastisement), some people ultimately said: “Believing in God is really difficult!” This “really difficult” shows that God’s deeds are unfathomable, that God’s work is possessed of great significance and value, and is highly worthy of being treasured by man. If, after I have done so much work, you had not the slightest knowledge, then could My work still have value? It will make you say: “Service to God is really difficult, the deeds of God are so wondrous, God truly is wise! He’s so lovely!” If, after undergoing a period of experience, you are able to say such words, then this proves that you have gained God’s work in you. Man lives amid the flesh, which means he lives in a human hell, and without God’s judgment and chastisement, man is as filthy as Satan. How could man be holy? Peter believed that chastisement and judgment by God was man’s best protection and greatest grace. Only through chastisement and judgment by God could man awaken, and hate the flesh, and hate Satan. God’s strict discipline frees man from the influence of Satan, it frees him from his own little world, and allows him to live in the light of God’s presence. There is not better salvation than chastisement and judgment! … In his life, if man wishes to be cleansed and achieve changes in his disposition, if he wishes to live out a life of meaning, and fulfill his duty as a creature, then he must accept God’s chastisement and judgment, and must not allow God’s discipline and God’s smiting to depart from him, so he can free himself from the manipulation and influence of Satan and live in the light of God. Know that God’s chastisement and judgment is the light, and the light of man’s salvation, and that there is no better blessing, grace or protection for man. 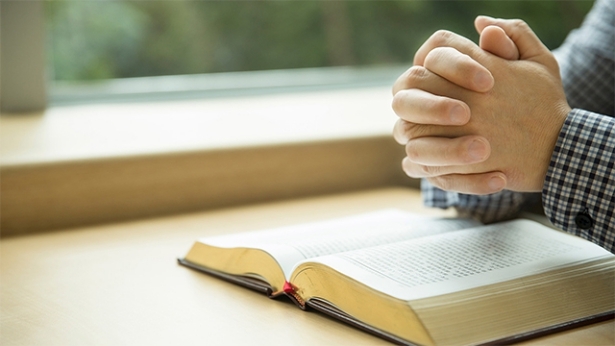 If you wish to be made perfect, you must understand God’s work. In particular, you must understand the significance of His chastisement and judgment, and why this work is carried out upon man. Are you able to accept? During chastisement of this kind, are you able to achieve the same experiences and knowledge as Peter? If you pursue a knowledge of God and of the work of the Holy Spirit, and pursue changes in your disposition, then you have the opportunity to be made perfect. … your pursuit is not according to the path by which Peter was made perfect, then, naturally, you will not experience changes in your disposition. If you are someone who pursues being made perfect, then you will have borne testimony, and you will say: “In this step-by-step work of God, I have accepted God’s work of chastisement and judgment, and though I have endured great suffering, I have come to know how God makes man perfect, I have gained the work done by God, I have had the knowledge of the righteousness of God, and His chastisement has saved me. His righteous disposition has come upon me, and brought me blessings and grace; it is His judgment and chastisement that has protected and purified me. If I had not been chastised and judged by God, and if the harsh words of God had not come upon me, I could not have known God, nor could I have been saved. Today I see that, as a creature, not only does one enjoy all things made by the Creator, but, more importantly, that all creatures should enjoy the righteous disposition of God, and enjoy His righteous judgment, because God’s disposition is worthy of man’s enjoyment. As a creature that has been corrupted by Satan, one should enjoy God’s righteous disposition. In His righteous disposition there is chastisement and judgment, and, moreover, there is great love. Although I am incapable of completely gaining God’s love today, I have had the good fortune to see it, and in this I have been blessed.” This is the path walked by those who experience being made perfect and the knowledge of which they speak. Such people are the same as Peter; they have the same experiences as Peter. Such people are also those who have gained life, and who possess the truth. 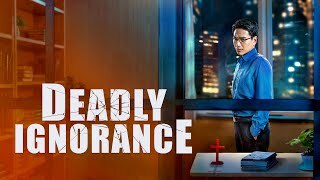 When they experience until the very end, during God’s judgment they will surely completely rid themselves of the influence of Satan, and be gained by God. “And I saw a great white throne, and Him that sat on it, from whose face the earth and the heaven fled away; and there was found no place for them. And I saw the dead, small and great, stand before God; and the books were opened: and another book was opened, which is the book of life: and the dead were judged out of those things which were written in the books, according to their works. And the sea gave up the dead which were in it; and death and hell delivered up the dead which were in them: and they were judged every man according to their works. And death and hell were cast into the lake of fire. This is the second death. And whoever was not found written in the book of life was cast into the lake of fire” (Rev 20:11–15). “Behold, the tabernacle of God is with men, and He will dwell with them, and they shall be His people, and God Himself shall be with them, and be their God. And God shall wipe away all tears from their eyes; and there shall be no more death, neither sorrow, nor crying, neither shall there be any more pain: for the former things are passed away” (Rev 21:3–4). “The kingdoms of this world are become the kingdoms of our Lord, and of His Christ; and He shall reign for ever and ever” (Rev 11:15). When I created the world, I fashioned all things according to their kind, making everything with a visible form gather together with its kind. As the end of My management plan draws near, I will restore the former state of creation, I will restore everything to the way it originally was, profoundly changing everything, so that everything will return into the bosom of My plan. The time has come! The work of the last days is to separate all according to their kind, to conclude the management plan of God, for the time is near and the day of God has come. The last days are when all things will be classified according to kind through conquering. Conquering is the work of the last days; in other words, judging each person’s sins is the work of the last days. Otherwise, how could people be classified? The classifying work being done among you is the start of such work in the entire universe. After this, people of all nationalities everywhere will also be subjected to the conquering work. This means every person in creation will be classified according to kind, coming before the seat of judgment to be judged. No person and no thing can escape suffering this chastisement and judgment, and no person and no thing can skirt this classifying by kind; everyone will be sorted into classes. That is because the end is near for all things and all the heavens and earth arrive at their conclusion. How can man escape the end of his existence? The current conquering work is work intended to make it obvious what man’s end will be. Why do I say that today’s chastisement and judgment are the judgment in front of the great white throne of the last days? Do you not see this? Why is the conquering work the last stage? Is it not precisely to make manifest how each class of man will end up? Is it not to allow everyone, in the course of the conquering work of chastisement and judgment, to show his true colors and then to be classified according to kind afterward? Rather than saying this is conquering mankind, it might be better to say that this is showing how each class of man will end up. That is, this is judging their sins and then showing the various classes of man, thereby deciding whether they are evil or righteous. After the conquering work comes the work of rewarding good and punishing evil: People who obey completely, meaning the thoroughly conquered, will be placed in the next step of spreading the work to the entire universe; the unconquered will be placed in darkness and will meet with calamity. Thus, man will be classified according to kind, the evildoers grouped with evil, never again to see the sunlight, and the righteous grouped with good, to receive light and live forever in the light. The end is near for all things, man’s end has been clearly shown to his eyes, and all things will be classified according to kind. How then can people escape suffering this classifying? The revealing of the end for each class of man is done when the end is near for all things, and it is done during the work of conquering the entire universe (including all the conquering work starting with the current work). This revealing of the end of all mankind is done before the seat of judgment, in the course of the chastisement, and in the course of the conquering work of the last days. … The final stage of conquering is meant to save people and also to reveal people’s endings. It is to disclose people’s degeneration through judgment and thereby get them to repent, rise up, and pursue life and the right path of human life. It is to wake up the hearts of the numb and obtuse people and to show, through judgment, their inner rebelliousness. However, if people are still unable to repent, still unable to pursue the right path of human life and unable to cast off these corruptions, then they will become unrescuable objects for Satan to swallow up. This is the significance of conquering—to save people and also to show their endings. Good endings, bad endings—they are all revealed by the conquering work. Whether people will be saved or cursed is all revealed during the conquering work. The last days have already arrived. All things in creation will be classed according to their kind, and divided into different categories based on their nature. This is the moment when God reveals humanity’s outcome and their destination. If people do not undergo chastisement and judgment, then there will be no way of exposing their disobedience and unrighteousness. Only through chastisement and judgment can the outcome of all creation be revealed. Man only shows his true colors when he is chastised and judged. Evil shall be put with evil, good with good, and all humanity shall be classified according to their kind. Through chastisement and judgment, the outcome of all creation will be revealed, so that the evil may be punished and the good rewarded, and all people become subject to the dominion of God. All this work must be achieved through righteous chastisement and judgment. 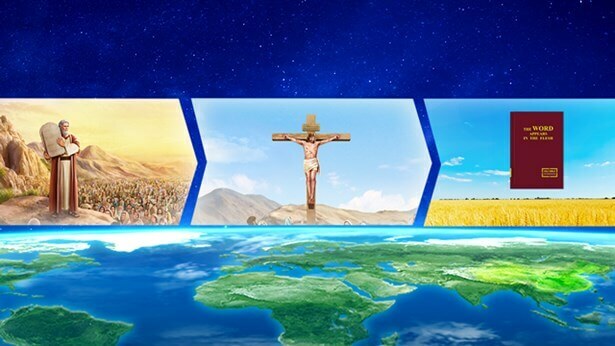 Because man’s corruption has reached its peak and his disobedience become exceedingly severe, only God’s righteous disposition, one that is principally compounded of chastisement and judgment and is revealed during the last days, can fully transform and complete man. Only this disposition can expose evil and thus severely punish all the unrighteous. Those who are able to stand firm during God’s work of judgment and chastisement during the last days—that is, during the final work of cleansing—will be those who will enter into the final rest with God; therefore, those who enter into rest will all have broken free of Satan’s influence and been obtained by God only after having undergone His final cleansing work. These people who have been ultimately obtained by God will enter into the final rest. The essence of God’s work of chastisement and judgment is to cleanse humanity, and it is for the day of final rest. Otherwise, the whole of humanity will not be able to follow their own kind or enter into rest. This work is humanity’s only path to enter into rest. Only God’s work of cleansing will cleanse humanity of their unrighteousness, and only His work of chastisement and judgment will bring to light those disobedient things among humanity, thereby separating those who can be saved from those who cannot, and those who will remain from those who will not. When His work ends, those people who remain will be cleansed and enjoy a more wonderful second human life upon the earth as they enter a higher realm of humanity; in other words, they will enter into humanity’s day of rest and live together with God. After those who cannot remain have undergone chastisement and judgment, their original forms will be entirely revealed; after this they will all be destroyed and, like Satan, will no longer be allowed to survive upon the earth. The humanity of the future will no longer contain any of this type of people; these people are not fit to enter the land of the ultimate rest, nor are they fit to enter the day of rest that God and man will share, for they are the targets of punishment and are the wicked, and they are not righteous people. His ultimate work of punishing evil and rewarding good is entirely done in order to utterly purify all of humanity, so that He may bring an entirely holy humanity into eternal rest. This stage of His work is His most crucial work. It is the final stage of the whole of His management work. If God did not destroy the wicked but rather let them remain, then the whole of humanity would still not be able to enter into rest, and God would not be able to bring all of humanity into a better realm. This kind of work would not be completely finished. When He finishes His work, the whole of humanity will be entirely holy. Only in this manner can God peacefully live in rest. Since God created man, He shall make man worship Him; since He wishes to restore man’s original function, He shall restore it completely, and without any adulteration. Restoring His authority means making man worship Him and making man obey Him; it means that He shall make man live because of Him and make His enemies perish because of His authority; it means that He will make every last part of Him persist among humanity and without any resistance by man. The kingdom He wishes to establish is His own kingdom. The humanity He wishes for is one that worships Him, one that completely obeys Him and has His glory. 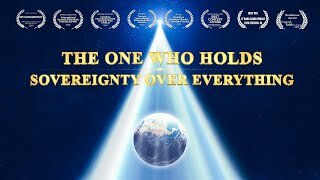 If He does not save corrupt humanity, the meaning of His creation of man will come to nothing; He will have no more authority among man, and His kingdom will no longer be able to exist upon the earth. If He does not destroy those enemies who are disobedient to Him, He will be unable to obtain His complete glory, nor will He be able to establish His kingdom upon the earth. These are the symbols of the completion of His work and the symbols of the completion of His great accomplishment: to utterly destroy those among humanity who are disobedient to Him, and to bring those who have been made complete into rest. I move above all men and am watching everywhere. Nothing ever looks old, and no person is as he used to be. 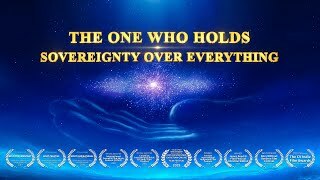 I rest upon the throne, I recline across the whole universe, and I am fully satisfied, for all things have recovered their holiness, and I can peacefully reside within Zion once again, and the people on earth can lead serene, contented lives under My guidance. All peoples are managing everything in My hand, all peoples have regained their former intelligence and original appearance; they are no longer covered with dust, but, in My kingdom, are as pure as jade, each with the face like that of the holy one within man’s heart, for My kingdom has been established among man. 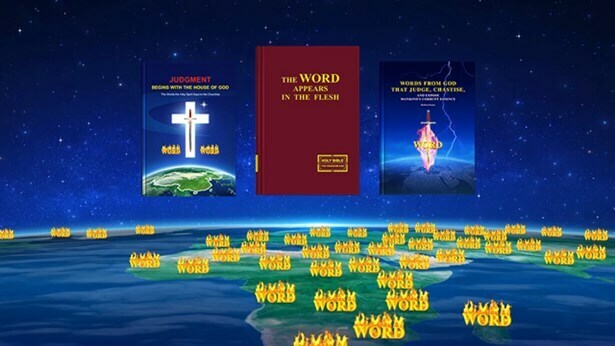 Previous：How does God’s work of judgment during the last days purify and save mankind? Next：What are the consequences and the outcome of the religious world rejecting God’s work of judgment in the last days?